Introducing Melody Hanseon’s HandyTotes to you is the perfect time to explain that the name of this event, the McMinnville Recycled Arts Festival is a bit of a misnomer. Yes, the event is in “McMinnville” and here in McMinnville we are making great strides to recognize issues that can reduce the waste we send to the landfill. 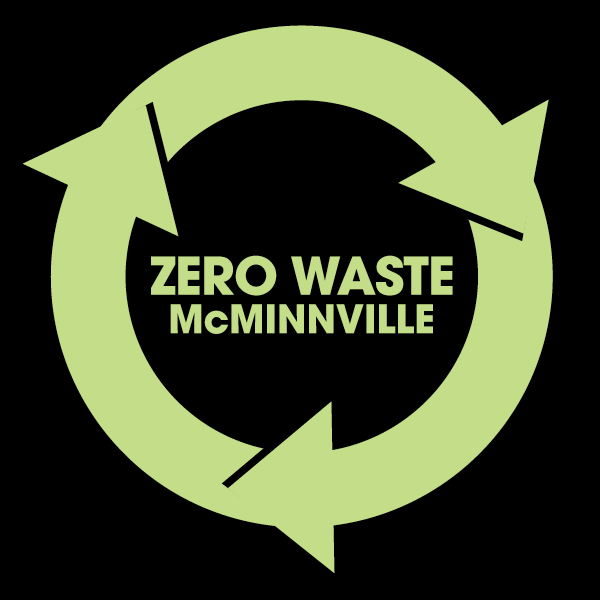 Together, Zero Waste McMinnville and Recology help residents and visitors better understand how trash should be sorted and can have a better “end stage” than covered by dirt in an expanding mountain of garbage. We have many many many examples of UPCYCLING at the Festival…..not any recycled use really. And then, the word “Arts”. The first common accepted usage is we were looking for items made with care, with meticulous attention to detail, to presentation in a new way. There is also a subsidiary definition of development of a skill that presents items that are used in new ways. All that will be evident in the Nicholson Library during the Festival. Melody Hanson reached a point when a collection of plastic needed to be cleared from her storage area. A couple years ago, she had an accumulation of empty polywoven feed bags and attempted to find a place to recycle them. Not having any success, she started making tote bags for a few friends and neighbors for them to trial and give their feedback. This grew in response and within a few months, she started an Etsy shop where she offers handmade tote bags with a large selection of different images. Now there are some people who think we should ban all plastics and I can get behind the idea that drilling for more oil has to stop. We have more than enough plastic in the world. Let’s find ways to break them down and reuse the material. The problem about plastic-that it will naturally take hundred and thousands of years to really break down-is also the benefit of why we like using that durable material. The sturdy aspect of HandyTotes is that they will last a really really long time. You just have to remember to carry them back out to your car and into the store! We each can add our ways to help. Melody Hanson and HandyTotes are at Table #3.